It’s ironic that cretin is used to describe an insensitive person, because its origin is terribly insensitive. 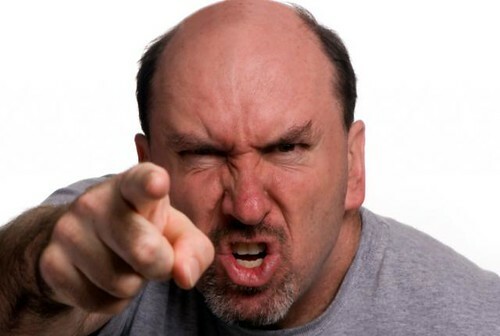 Cretin, like spaz, is an insult that evolved from a very real and very dreadful medical condition. It comes from a word used in an 18th century Alpine dialect. The word was crestin, used to describe “a dwarfed and deformed idiot.” Cretinism was caused by lack of iodine resulting in congenital hypothyroidism. Etymologists believe the word’s root, the Latin “Christian,” was to be a reminder that cretins were God’s children, too. From Mental Floss, the origin of 10 familiar insults. 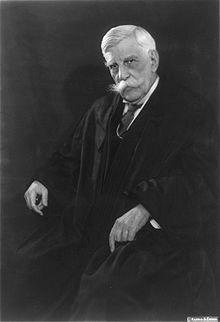 As we mind our language, we might recall that it was on this date in 1919 that the U.S. Supreme Court decided the case of Schenck v. United States–– in which Justice Oliver Wendell Holmes, Jr.’s opinion famously observed that “the most stringent protection of free speech would not protect a man falsely shouting fire in a theater and causing a panic.” As his observation passed into common parlance, “falsely” fell away and the condition of the theater was embellished– so that “shouting fire in a crowed theater” has come to stand for speech that is dangerous and unlawful. The ever-precise Holmes recognized that, if in fact there were a fire in a crowded theater, one may rightly shout “Fire!”; indeed one might, depending on the law in operation, be obliged to.